Have you ever wondered how often incentives need to occur to make a difference in your classroom? It is easy to fall into a never-ending cycle of rewarding someone for the same, expected behavior, over and over. We use incentives to provide external motivation for our students, but if they don’t learn from them, the incentives are not doing their job. Behaviorist B.F. Skinner breaks down changing behaviors and looks at the frequency behind incentives and what sort of schedule works best. According to his teaching, there are five different schedules of reinforcement, and each one has a different result regarding the speed of learning and speed of forgetting. Continuous reinforcement is when a person receives positive reinforcement every time they do the desired task. An example of this in the classroom would be if every time a student answered a question correctly, they received a piece of candy. Continuous reinforcement leads to a slow rate of learning and a fast rate of forgetting. Fixed ratio reinforcement is when a person receives a reward after a specific number of times. For example, a student receives a prize after bringing in five reading logs. Fixed ratio reinforcement results in a fast rate of learning and a moderate rate of forgetting. Fixed interval reinforcement is when a person receives a reward after a specific length of time, so long as the desired behavior has occurred once during the allotted period. A classroom application would be when we reward a student for practicing their Hebrew once during the week between class. Fixed interval reinforcement lends itself to a moderate rate of learning and a moderate rate of forgetting. Variable rate reinforcement is when a person receives a reward after an unknown amount of times. The frequency changes constantly. An example of this in the classroom is if you give prizes for reading logs on random weeks. Variable rate reinforcement results in a fast rate of learning and a slow rate of forgetting. 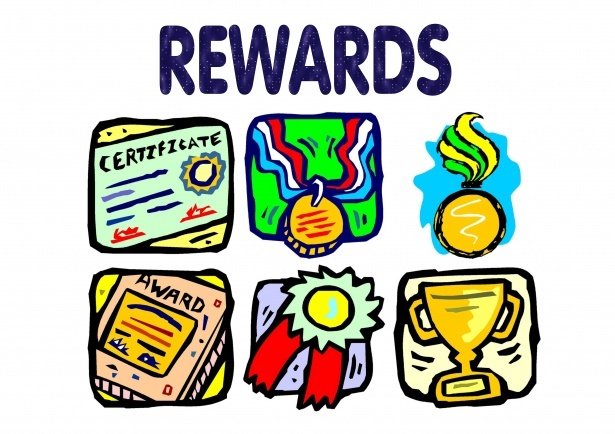 The reward is not predictable, so there is no way for the student to know whether they will get a reward each given time. Variable interval reinforcement is when a person receives a reward after an unknown amount of time. An example of this in the classroom would be if you reward students with a short break after working hard for a period, but adjust the amount of time they are doing the work each time. Variable interval reinforcement results in a fast rate of learning and a slow rate of forgetting. Each type of reinforcement has an incentive or reward; the difference is how often the students receive it and what the deciding factor is. Different tasks lend themselves to different types of reinforcement schedules. Think about what you want the take away for your students to be. Find the right reinforcement to match your educational goals and put it to use!